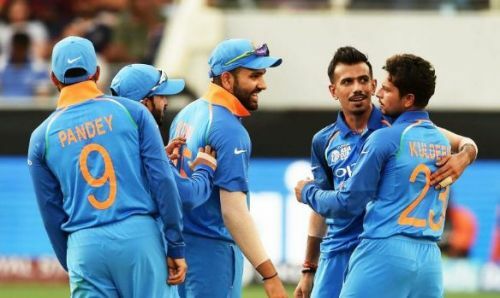 T20 is the shortest format of cricket and is considered as the most entertaining by many fans across the world due the hard-hitting by batsmen and the fast pace of the game. Domestic T20 leagues such as the Caribbean Premier League, the Indian Premier League, the Pakistan Super League, and the Big Bash League are widely followed - not only by fans in the home country but all across the world due to the presence of players of multiple nationalities. There have been many times teams have made totals of 200+ in these domestic leagues due to the sheer amount of matches. However, there are still only a limited number of times national teams have crossed the 200 run mark in International matches. Bowlers have also become adept at stopping the free flow of runs and have introduced many variations making it ever so difficult for the opposition team to achieve a total of over 200. There have been only 72 times since the inception of T20Is that a team has managed a total of greater than 200. In this article, we do a countdown of the top 5 teams which have the most 200+ totals in T20Is. Note: This list does NOT include the times when a team ended up making EXACTLY 200 runs. England have scored a total of 200+ 5 times. However, they are also the team to concede a score of over 200 - 10 times. The first time England scored over 200 was against South Africa in Johannesburg on 13th November 2009. Eoin Morgan's 85 and Paul Collingwood's quickfire 57 had led the team to a total of 202/6. It was an intense match and England won by merely 1 run due to D/L method when South Africa were asked to chase 129 runs in 13 overs and they managed 127. The last time the English team managed such a high score was against Australia in Birmingham. 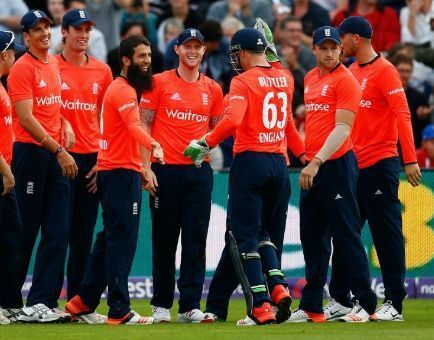 Jos Buttler's 61, Alex Hales' 49, and Jason Roy's 44 helped the team to a total of 221. Australia gave a tough fight in response but were eventually bowled out for 193. England are also the only team to score a total of exactly 200 twice. They scored the round figure against India in 2007 and against Australia in 2014. They are currently ranked 3rd in T20Is as per the ICC Rankings.